Manufacturer & Supplier of Stainless Steel 304L Pipe Flanges, SS 304L Slip on Flanges, Steel UNS S30403 Lap Joint Flanges, Stainless 304L Blind Flanges Exporter in India. We, Neon Alloys are largest manufacturer and exporter of various types of Stainless Steel 316L Flanges whose application in various industries and is known for their durability and strength. 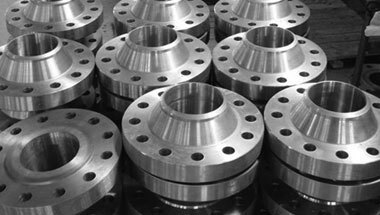 The high performance oriented SS 304L Flanges we trade in are used on equipment’s utilized for nozzles and in piping systems and others. These SS 304L Flanges are designed and developed using quality-approved stainless steel as raw-material in compliance with industrial quality standards. These flanges are highly acclaimed for their sturdy designs and damage-resistant features. Moreover, we make these Stainless Steel 304L Flanges products available to the customers at leading prices in the market in order to suit the requirements of all our patrons. Stainless Steel 304L Flanges Manufacturer, SS 304L Plate Flanges, Steel WNR 1.4306 DIN/ASME Pipe Flanges, SS UNS S30403 Socket weld Flanges Suppliers in India. Africa, Tunisia, Ethiopa, Cameroon, Colombia, Germany, Mozambique, Vietnam, Iraq, Canada, Kuwait, Dubai, Ghana, Nigeria, South Africa, Saudi Arabia, Algeria, UK, Italy, Angola, Houston, Brazil, Thailand (Bangkok), Russia, Mexico, Bahrain, Argentina, Indonesia, New Zealand, Trinidad and Tobago, Iran, Jordan, Peru, London, Morocco, Malaysia, Kazakhstan, Sri Lanka, Azerbaijan, Venezuela, Turkey, Democratic Republic of the Congo, United States, UAE, Israel, Australia, Chine, Egypt, Sudan, Uganda. Subra al-Haymah, Kinshasa, Tripoli, Khartoum, Lusaka, Kolwezi, Aqaba, Cape Town, Addis Ababa, Manama, Johannesburg, Kaduna, Abu Dhabi, Lubumbashi, Ibadan, Durban, Port Elizabeth, Giza, New York, Kampala, Mecca, Tel Aviv, Casablanca, Alexandria, Istanbul, Byblos, Cairo, Maiduguri, Kano, Mogadishu, Zaria, Maputo, Jeddah, Data from the UN, Douala, Benin, Lagos, Jerusalem, Nairobi, Pretoria, Dar es Salaam, Luanda, Mbuji-Mayi, Omdurman, Accra, Antananarivo, Beirut, Muscat, Harare, Bamako, Amman, Dubai, Rabat, Port Harcourt, Abidjan, Bulawayo, Algiers, Brazzaville, Dammam, Soweto, Yaoundé, Singapore, Sharm el-Sheikh, Cairo, Hong Kong, Riyadh, Ouagadougou, Conakry, Freetown, Bethlehem, Dakar, Tehran, Doha, Colombo, Fez.